If your hand is impaired in any way, surgery may improve your condition. This type of very specialized surgery can treat diseases that cause pain and impair the strength, function and flexibility of your wrist and fingers. The human hand is one of the most versatile tools in nature. It not only fulfills countless physical functions, it is also a communication and sensory tool. Illness, injury, or a congenital deformity (one present at birth) can diminish the ability to manipulate our hands to grasp, pinch, wave, touch, shake hands, or perform countless other functions. Some of the more common hand surgery procedures are used to treat victims of trauma, and carpal tunnel syndrome. Your plastic surgeon will also discuss where your procedure will be performed. Depending on the type of surgery you will undergo, your procedure may be performed in your plastic surgeon’s accredited office-based surgical facility, a licensed ambulatory surgical center, or a hospital. Be sure to ask your plastic surgeon questions. It’s very important to understand all aspects of your hand surgery. It’s natural to feel some anxiety. Don’t be shy about discussing these feelings with your plastic surgeon. 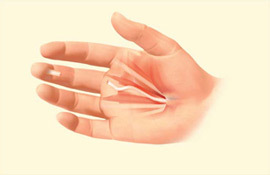 Pressure on the median nerve in the carpal tunnel must be relieved to repair this condition. An incision is made from the middle of the palm to the wrist, allowing access to the constricted tissue causing pressure on the nerve. 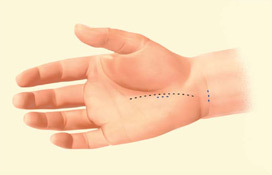 An alternate procedure is referred to as an endoscopic carpal tunnel release, with smaller incisions (see blue dotted lines) and the use of a surgical microscope or endoscope, a small flexible tube that contains a light and lens, to release pressure. The decision to have hand surgery is extremely personal, and you’ll have to decide if the benefits will achieve your goals and if the risks and potential complications are acceptable. You will be asked to sign consent forms to ensure that you fully understand the procedure and any risks and potential complications. After surgery, bandages or dressings may be applied to keep the surgical site clean and splints may be used when needed. You will be given specific instructions that may include how to care for your hand(s) following surgery, medications to apply or take orally to aid healing and reduce the risk of infection, and when to follow-up with your plastic surgeon. Follow all postoperative instructions including cleansing, taking prescribed medications and hand therapy exercises. Therapy is critical to restoring strength, flexibility and movement. If you attempt to return to normal function too soon, the risk of re-injury is possible. Continue your hand therapy regimen and attend follow-up visits with your plastic surgeon as scheduled. This is essential to a successful outcome. As swelling subsides, the results of hand surgery will appear. Your final outcome may not be realized for several months. The end result of your hand surgery is directly related to following your therapist’s and plastic surgeon’s instructions. The final outcome of your hand surgery will develop over time. Your outcome cannot be fully predicted. Prices can vary for hand surgery. A surgeon’s cost may be based on his or her experience, the type of procedure used, and the geographic location of the office. 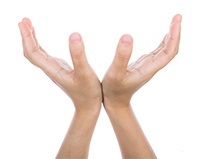 Your health insurance plan will likely cover hand surgery and related complications. Pre-certification is generally required for reimbursement or coverage. 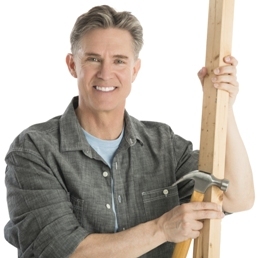 Be sure to consult with your insurance company in advance of any surgery.